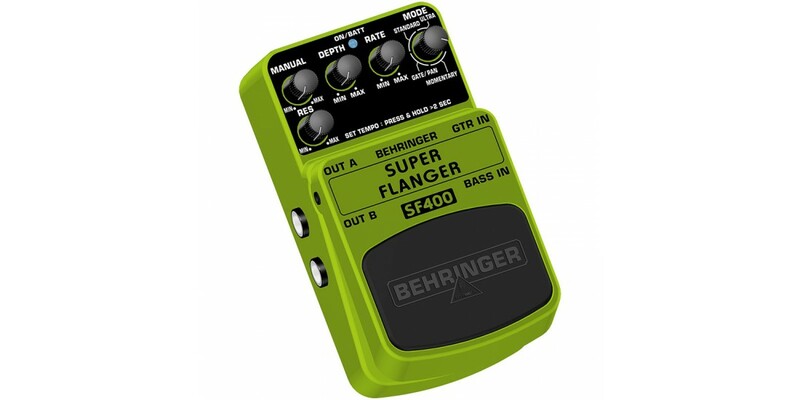 Feed your amp through a jet plane after-burner and send your audience into the clouds with this serious digital flanger. From vintage to modern, from subtle to severe, the SF400 lets you explore the entire history of popular flanging effects in one compact box powered by our intense RSM digital signal processing chip. This stomp box has Standard, Ultra, Gate/Pan and Momentary Modes, Rate, Depth, Manual and Resonance controls plus a Tap Tempo function, ensuring an abundance of possibilities to let you warp your sound to any speed and altitude. Above all, its Real Sound Modeling (RSM) technology delivers clarity and natural tonality that gives you true flanging capability that’s nothing short of spectacular. It also features a bright blue LED to show you the power status and battery condition as well as a robust footswitch, which preserves signal integrity in bypass mode. 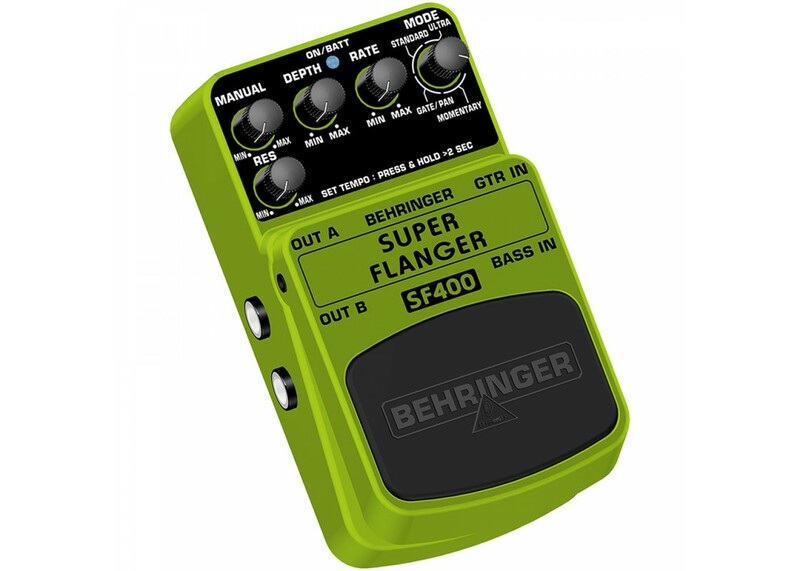 The SF400 pedal operates on a 9 V battery as well as with our BEHRINGER PSU-SB DC power supply. Don’t wait. Elevate your tone with the SF400’s super-thick flanging effects.